For some consumers, the mere act of shopping at the supermarket can be full of overwhelming decisions. After extended debate in the grocery aisle, after attempts to parse through the misleading packaging, you might end up choosing the organic tomatoes over the conventional ones. They’re twice the price, so they’ve got to be better, right? But it’s not so simple. Celebrities, anti-GMO groups, and food trends have spread misleading information and myths about the food we chose to eat every day. Do foods labeled “organic” actually make us healthier? Are they free of pesticides? Should we be afraid of pesticides in the first place? Recently, singer/actress Zooey Deschanel made headlines because her docu-series about organic food, called “Your Food’s Roots,” was riddled with errors and misinformation. 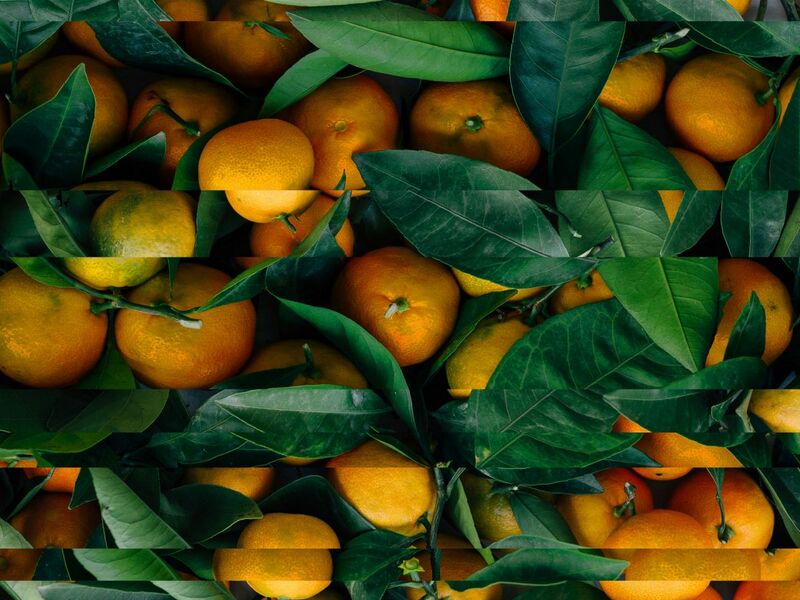 In a recent Facebook video, Deschanel misleadingly claimed that people should eliminate the 12 vegetables and fruits most likely to have the highest amounts of pesticide residues in order to keep healthy. The list, dubbed the “dirty dozen,” is reportedly curated annually by the Environmental Working Group (EWG), a non-profit focused on health advocacy and research. That claim isn’t in line with the consensus of the scientific community, however. Toxicologists have long discredited any ill effects of eating foods that happen to be on that list — 79 percent of the members of the Society of Toxicology said that the EWG “overstated the health risks of chemicals,” according to a 2009 survey by George Mason University. In 2016, the Alliance for Food and Farming, a non-profit that represents organic and conventional farmers, repeated calls for the EWG to consider the USDA guidelines before renewing its “dirty dozen” list, arguing that the produce on it has repeatedly been shown to have no negative health impacts. Even more concerning, Deschanel urges consumers to “strictly buy organic” foods to avoid pesticides. That’s bad advice backed by faulty reasoning. Many studies have shown that just because a food is labeled “organic,” that doesn’t mean it was grown without pesticides (more on that later). In any case, scientists note that limiting the consumption of fruits and vegetables for fear of pesticide use could be much worse for consumers’ health than inadvertently consuming a little bit of pesticide. Here are four common, pervasive myths about GMOs and organic foods. Understanding what the science says can help consumers ensure that they choose the food that will best keep them healthy. At the grocery store, consumers are given the option to buy conventionally-produced food or its (often pricier) organic counterpart. The distinction between these two choices is closely regulated. For food manufacturers to label their items as organic, the products must meet the standards set by organizations and governments. The U.S. Department of Agriculture (USDA) certifies foods as “organic” if they are shown to be “protecting natural resources, conserving biodiversity, and using only approved substances.” In the U.S. and Canada, any food labeled as “organic” must be devoid of GMOs. Organic foods, by that definition, can’t have had synthetic fertilizers or pesticides applied to them for three years before they are harvested. But just because a crop fits the definition of organic doesn’t mean it’s totally free of fertilizer residue. USDA organic certification allows for natural substances such as pheromones, vaccines for animals, and a limited number of natural pesticides as well, but a 2011 survey by the USDA showed 39 percent of 571 organic samples were found to have pesticide residues, but well below tolerance set out by the EPA. And yet, a 2005 market trends survey by Whole Foods found that more than 70 percent of consumers bought organic food to avoid pesticides. Exposure to a little pesticide isn’t necessarily toxic for people. “The big question from a toxicological standpoint is how much are we exposed to? The first principle of toxicology is the dose makes the poison,” Winter said. While studies have shown that conventional, non-organic foods do indeed come with a greater likelihood of exposure to pesticide residues compared to their organic counterparts, the health risks of exposure are often exaggerated by organizations such as the Environmental Working Group and food safety associations. “The levels we are exposed to are far, far less than levels that would be expected to cause any harm to our population. So reducing our exposure a little bit more — in this case by purchasing organic food — really isn’t going to cause any appreciable health benefit to us as consumers,” Winter added. That is not to say pesticides pose no risk at all. Since the 1930s, synthetic pesticides, most famously DDT, were linked to birth defects and depleted biodiversity. People working in the fields, who spend the most time exposed to pesticides, are often hospitalized for related illnesses; in 2006 in the state of California, as many as 1,310 people were hospitalized due to pesticide-related illnesses and injuries, and 23 of them died. Today, scientists are still working to understand how high doses of pesticides can affect children’s development. Little of this applies to the average consumer, however. First, farmers use fewer pesticides today than they did even a decade ago, and the pesticides themselves must be proven to have a low impact on human health to meet the USDA’s stringent guidelines. Although high doses of these pesticides may pose a health risk, the remaining residues that make their way into our food have been repeatedly shown to have virtually no effect on health. The World Health Organization notes that none of the pesticides currently authorized in international food trade are damaging to humans on a genetic level, and only become dangerous to workers who are directly exposed to them in much higher quantities in the field. Since the U.S. government began regulating organic products in 1990, proponents have claimed that eating organic food makes us healthier. That claim, as difficult as it is to nail down, is ultimately misleading. When comparing (organic) apples to (conventional) apples, the evidence simply doesn’t suggest that organic makes people healthier. After analyzing 240 studies about the nutritional value of organic food, the authors of a 2012 review study published in the Annals of Internal Medicine concluded that they “[lack] strong evidence that organic foods are significantly more nutritious than conventional foods.” (The researchers did conclude, however, that eating organic could reduce consumers’ exposure to pesticide residues and the possibility of ingesting antibiotic-resistant bacteria). But defining what makes a consumer “healthy” — or at least “healthier” than someone else — is not always clear. Additional nutrients may in fact be good for us, but does that mean we require them to “be healthy,” or are we just fine without them? A 2016 review study published in the British Journal of Nutrition analyzed 170 studies, concluding that organic dairy and meat had higher levels of omega-3s — acids that have been linked to lower rates of heart disease and better immune function — than their conventional counterparts. While increased levels of omega-3s have been shown to be good for you, it doesn’t necessarily justify paying the premium for organic dairy and meat — conventional meat and dairy are not entirely devoid of omega-3s. The ability to alter the genetic makeup of a crop has been the topic of heated debate for decades. Genetically Modified Organisms (GMOs) — crops with genomes that have been augmented with DNA from other organisms — have permanently changed the agricultural industry. Scientists have created genetically engineered (GE) varieties of crops containing genes that protect them from pests, weeds, or even certain plant viruses. Even though the first GMOs hit the market 23 years ago, the debate surrounding their safety still rages, fueled by misinformation about the impact they have on health. Genetically engineering crops allows scientists to transfer desirable traits individually — a much more efficient process than cross-breeding, a less high-tech method that may also transfer a number of traits that may pose a threat to the newly created plant. Cross-breeding also limits the palette of new traits to traits that are already present in either the male or female plant; genetic engineering, on the other hand, allows for scientists to use foreign but desirable traits. GMOs are also not limited to “unnatural,” synthetically engineered uses — they can take advantage of natural processes as well. For instance, the bacterium Bacillus thuringiensis (Bt) was discovered to be a naturally-occurring insecticide more than 100 years ago. Recently, bioengineers have modified the genes of crops such as corn to express the insecticidal protein present in this natural microorganism, foregoing the need to physically spray crops with it separately. As a result, the crop itself is toxic to insects, and neighboring fields and ecosystems are largely unaffected. Fear of GMOs, and their purported effects on health, gives consumers another reason to stick to organic. The European Union prohibits farmers from growing GMOs; other nations like India have dragged their feet in allowing the cultivation of GMOs because of vehement backlash. In the U.S., products that contain GMOs will soon be required by federal law to be labeled as such. These precautions, however, are woefully unfounded; as of right now, there is no trustworthy evidence that any GMO-derived food poses health risks to humans. If anything, genetic modifications make crops safer for agricultural workers (genetic tweaks make crops more resistant to damage from insects and viral infections, so plants need fewer pesticides) and even make them more nutritious, bringing a healthful variety to more people worldwide. According to the WHO, no foods available today based on genetically modified crops have been shown to have a negative effect on human health in the countries in which they have been approved. “I have yet to see any evidence that suggests that GM crops are any more dangerous than their conventional counterparts,” Winter said. While GMOs have so far not been shown to harm consumers, that’s not to say they never could. 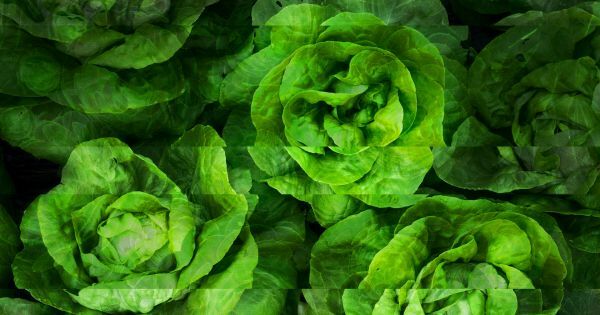 “There is no evidence of any harmful impacts from eating genetically engineered crops that are grown today, but I can’t say that about crops from ten years from now,” Gregory Jaffe, director of biotechnology at the Center for Science in the Public Interest (CSPI), told Futurism. Food safety regulation, then, will become even more important as new genetic modification tools like CRISPR become more common. “Regulators will need to apply a case-by-case approach to ensure the safety of consumers and producers alike when it comes to genetically engineered crops,” Jaffe said. People who oppose GMOs often note their purported effect on the environment. They fear that genetic modifications could jump from farms to the larger natural environment, or that GMO crops suppress the natural biodiversity of an area. Perhaps most cuttingly, they note that GMOs demand a greater use of herbicides, which reduces biodiversity and makes weeds more resistant to the chemicals. These criticisms do have a modicum of truth to them. Genetic modifications have jumped from crops to local varieties, albeit infrequently, and farmers are leaning heavily (arguably too heavily) on the same types of crops, which leaves them vulnerable to disease. A 2016 study found that farmers who raised genetically-modified soybeans used more herbicide than farmers who didn’t adopt the herbicide-resistant GM strains. Researchers admit that we still have a lot to learn about the environmental impacts of GMOs. But overall, GMOs don’t cause as much damage as their critics may have you believe. The same 2016 study found that GMOs actually reduced the amount of pesticides needed to raise the same amount of maize compared to crops that didn’t use GM strains of maize engineered to resist pests. Another 2014 study found that genetically modified crops had a 22 percent greater yield than non-GM varieties. More food per square meter could mean that less land is needed worldwide for agriculture, leaving more habitats undisturbed or allocating more land for natural reserves or wildlife corridors. Plus, many GMO crops need less water than organic or non-GM varieties, which will help feed everyone in a warmer world. Scientists are still not completely sure if GMOs are better for the environment than other types of crops. But they at least demand fewer resources than organic crops. At the end of the day, “organic” food isn’t a bad option. And neither are GMOs. But consumers should make their food choices based on science, not hearsay. Many myths persist around the risks of GMOs and the benefits of organic foods. But one thing is clear: eating fruits and vegetables is the most important thing, no matter if they’re organic or GMO.